James Bond - The Secret Agent: James Bond poster auction coming your way! Even if it has nothing to do with the books of James Bond I am also a poster collector. 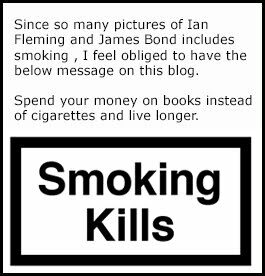 Therefore I sometimes write a few words on any type of James Bond auction coming our way. And now there is one. It is the auction house Ewbank's in Surrey, UK that will have an upcoming movie poster auction that will feature many Bond posters, some of them, a bit rare. 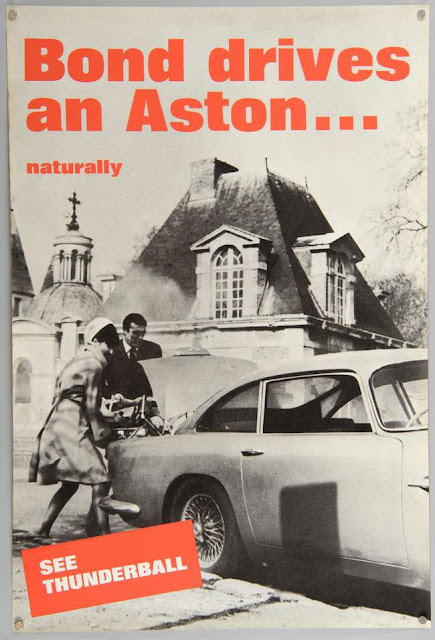 The highest estimated value is £1200 but I believe that the below Aston Martin Poster is worth more then that since it is quite rare. It will be interesting to see what is sells for. You can check out the poster auction yourself at this link. Ewbank's also have another auction a few days earlier where you can buy a shirt worn in Casino Royale (estimated at £120) among other things. Also listed are a few Fleming books at a fair price. Here is that link.